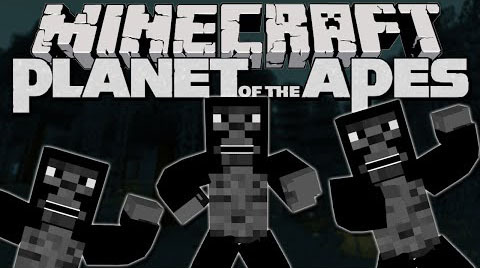 Dawn of the Planet of the Apes Mod, an epic Minecraft mod, is based on the movies of Rise of the planet of the Apes (2011) and Dawn of the planet of the Apes (2014). 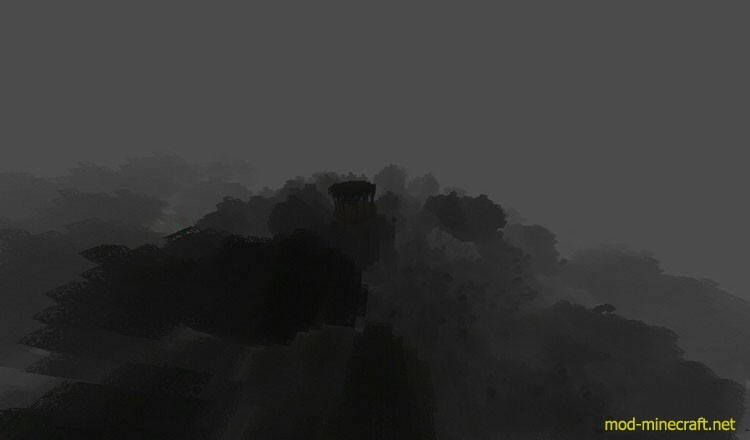 This mod adds a new Planet Of The Apes dimension where you kind find all types of apes and gorillas including a new boss Ceaser as well as new powerful weapons. These apes are very smart, and are evolved mobs that are super strong and make Minecraft survival more challenging. 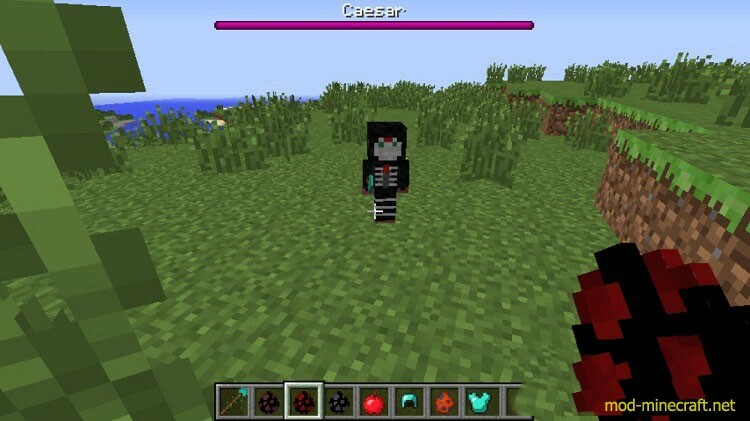 In this Minecraft mod, you can also make smarter mobs and use chemicals to evolve mobs. Step 2. It yeilds Alz-113 which can be crafted back into the Alz-113 block. Step 3. The Alz makes animals smarter. Caesar was smarter than other apes before the Alz was used on him. Step 4. 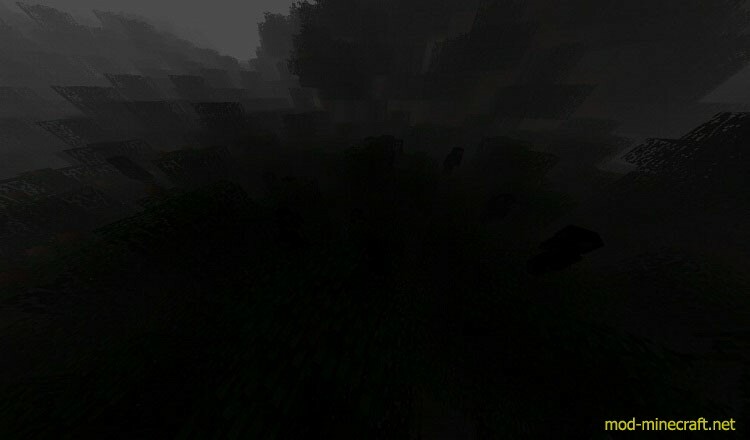 The Alz-113 block in the shape of a nether portal makes the portal required to go into the ape world. Step 6. WARNING: The apes are extrememly aggresive and powerful. Do not go in unless you have good armour. They are more sturdy than humans and will last longer. Caesar is a boss to defeat, he will drop rare Items. If you die, you spawn in the ape world. Dimmensions spawn ape and human homes. 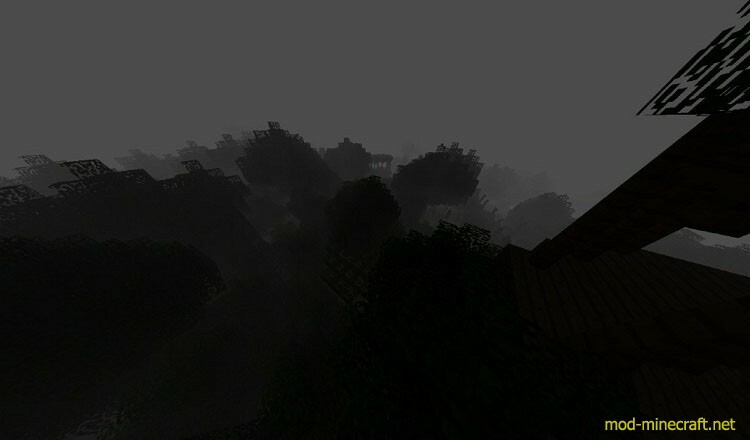 Humans (villagers) will spawn but most likely be killed by the apes. Step 7. The apes (and Caesar) have a chance of dropping a spear (for Caesar, a diamond spear) which are extremely accurate weapons. If alz-113 is used on the spears, they will turn into virus-tipped spears. These spears deal even more damage and are the strongest weapons. (You will get an achievement for making the Virus tipped diamond spear). Step 8. To fight these apes, you’ll need some strong weapons. The strongest one (other than the virus tipped diamond spear) is the tranquillizer. 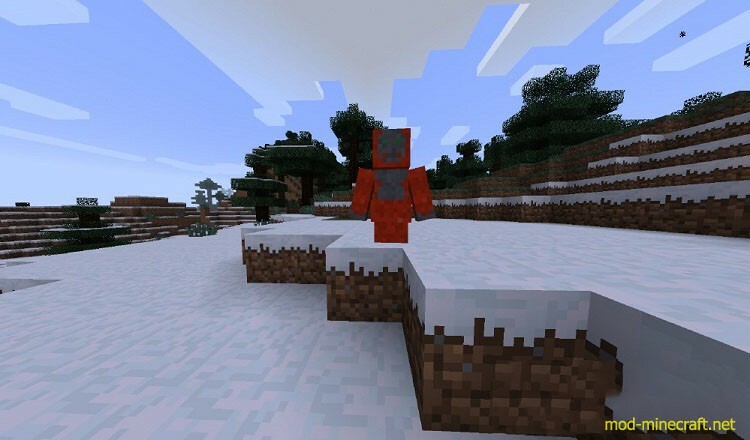 This weapon shoots arrows at any distance, and can kill any mob as long as you have arrows.